Welcome to the next installment of Irish Shops We Love! This time a quick look at F.E. McWillam Studio in Banbridge, Co. Down is set in beautiful surrounds and well worth a visit. Opened in September 2008, the gallery celebrates the work of the sculptor, Frederick Edward McWilliam, who was born in Newry Street, Banbridge on 30 April 1909. A contemporary and friend of Henry Moore, McWilliam made his name in London and established a reputation as one of the most important sculptors of his generation. After McWilliam’s death on 3rd May 1992, his estate gifted the contents of his studio, originally situated in Holland Park, London, and a number of sculptures to Banbridge District Council. After several years of research a suitable site and funding was found to commence work on a purpose built gallery, sculpture garden and replica of McWilliam’s studio. 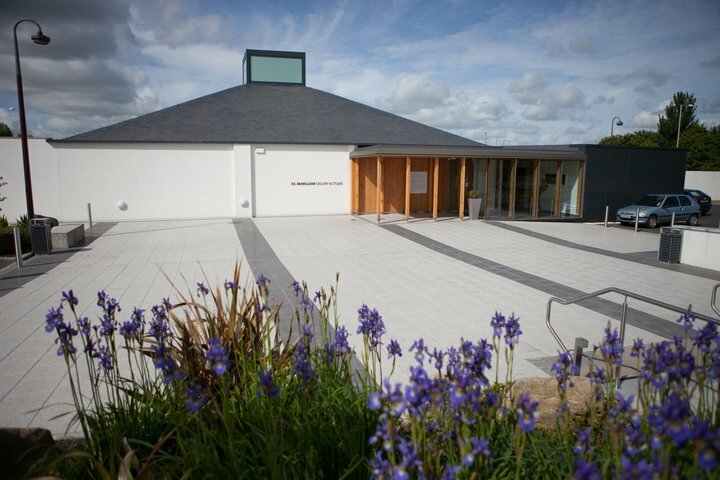 Designed by Kennedy Fitzgerald and Associates, Belfast, the gallery is conveniently situated on the outskirts of Banbridge and just off the main Belfast to Dublin Road. Featuring a permanent display of McWilliam’s work, temporary exhibitions of Irish and international art, a craft shop, café and Banbridge Tourist Information Centre, the F.E. 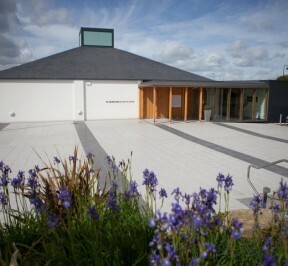 McWilliam Gallery and Studio attracted over 43,000 visitors during its first year and continues to attract a wide range of local, national and international visitors.